Whilst researching the following 71 minute movie made in 1953, I found out a very surprising fact about its Director, Ida Lupino. Because until this very day I never knew she was born in Camberwell, South East London, which is just a stones throw away from where I live. Hey! If you don't believe me, just ask any those Actors: Edmond O'Brien, Frank Lovejoy, and William Talman. Now do you see this gun I'm holding in my hand, fellers? Well, guess what? If you don't do precisely what I say, exactly when I say it, I make sure I will shoot you both dead on the spot. So listen up. And listen up good. If I tell you to drive us to New Mexico, Collins (Edmond O'Brien), you bloody well drive us to New Mexico. And if I tell you to turn on the radio so I can hear about my other crimes, Gilbert (Frank Lovejoy), you just turn on that f*cking radio. Granted, during our travels there may be a few occasions where I will ask you to do other things for me. Like keeping your traps shut for instance. Or making sure that no-one around us knows what the hell I'm up to. But more or less, if you two saps obey my every wish, there's a good chance -- and I do mean a fairly 'good chance' -- that the both of you just might get out of this alive. Then again, that's most probably why what next transpires all takes a detour when Gilbert looks over at me and says, 'Hey Emmet (William Talman)! I'm hungry. So can we please have something to eat now?'. As the Mexican police are hot on the case - two sad looking hostages give good face - a driver claps out within this long-winded race - and at the end of the day, oh dear, a bad guy turns out to be a bloody disgrace. 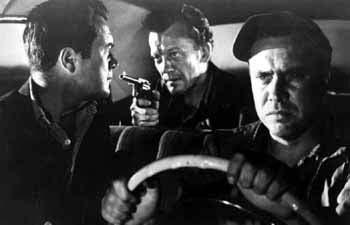 In my most humble opinion I'd say 'The Hitch-Hiker' is one of the most hard-boiled adventures I've seen for quite some time. Essentially it tells the true-life tale of a psychopath that kidnaps two men who are out on a road-trip together, and in so doing the three of them end up in one hell of an expansive situation that's full of pitfalls, dilemmas, Mexican policemen, and that sort of thing. Admittedly, the situation wasn't so expansive that the actors involved were able to enlarge upon their roles within its rather narrow pretext. Having said that, though, the three of them still managed to highlight another side to there characters personalities, cause you could clearly see that one of them was the roguish brute -- as played sublimely by William Talman -- another one was a more emotional figure -- as played by the Burt Lancaster-esque Edmond O'Brien -- whilst the third one was defiantly the paternal lead -- as played to a tea by Frank Lovejoy. Also, something else about this tale I would like to mention was how it was rather bright and vivid upon the screen, bearing in mind it was meant to be a film-noir. You see, normally this type of genre based production has a more pronounced and contracting image, and not the sunny western styled locations you see here. Not that this is a bad-bad thing, of course. It's just that I found all those rustic locations weren't the sort of spectacle I'm generally used to seeing. Again. Not a bad thing. Merely an observation at best. Now the last thing I want to say about this great-great film is how truly suspenseful it was to watch. Honestly, dear readers. There were many a time throughout its telling I was mightily concerned about how this situation would resolve itself. And do you know why I was concerned? Because the very cleaver writer who penned this piece made sure the main players encountered numerous 'pit-stops' during their travels, and this in turn elongated the plot, allowed the characters to grow, as well as imbue the overall narrative with an intrigue tone that built, and built, and built. Anyway. I'm sure by now you've got the basic gist of what I felt about this very fine film. So I tell you what. How about we take a 'pit-stop' of our own by checking out the following filmic-facts? (1) 'RKO' first released this production in Boston, Massachusetts, on the exact same day Albert Einstein announced his revised 'unified field' theory. It was on the 30th of March, 1953. (2) Loosely translated, this project was entitled 'The Beast of the Motorway' in Italy; 'The Journey from Fear' in France; and 'Beware of Free Riders' in Finland. (3) The majority of this movie was shot on location throughout the Californian state of Alabama Hills, Lone Pine. (4) This story was based on a novel written by the blacklisted writer, Daniel Mainwaring, who adapted it from a true story about the psychopathic murderer called Billy Cook. (5) 'Premiere magazine' ranked the poster for this movie 23rd out of "The 25 Best Movie Posters Ever". (6) One of the taglines used to promote this picture, was, 'When was the last time you invited death into your car?'. 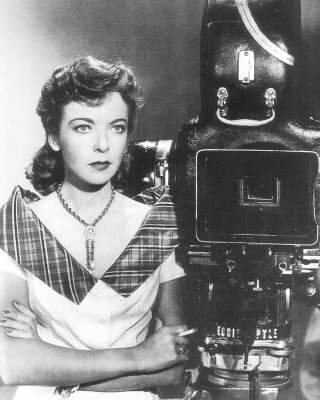 (7) In 1998 the 'United States National Film Registry' decided to preserve this production, mainly because it is seen as being the first film ever to be directed by a woman... Ida Lupino. However, according to some of my pals on facebook, Ida wasn't the first female film director, and this wasn't the first film she directed either. Lois Weber, Alice Guy-Blache, and Dorothy Arzner, among others, have also directed films before her. Plus lets not forget Ida was un-credited with her work on 'Not Wanted' and 'On Dangerous Ground'. 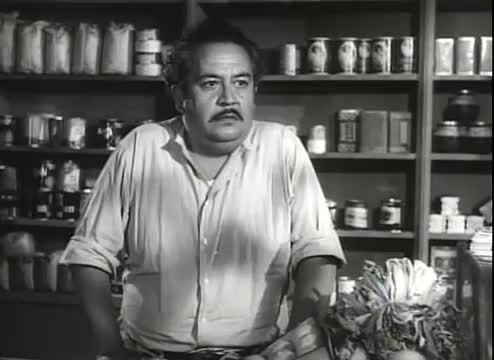 (8) After this flick flipped its thumb, Edmond O'Brien starred in the drama, 'Man in the Dark'; Frank Lovejoy starred in the horror-classic, 'House of Wax'; and William Talman starred in the adventure, 'City That Never Sleeps'. 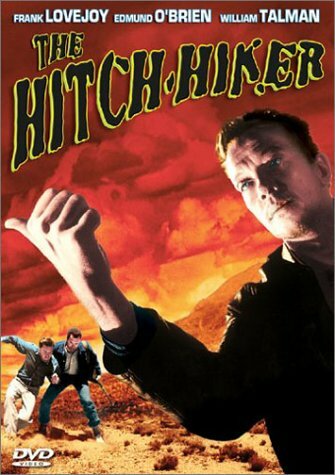 Overall I'd say 'The Hitch-Hiker' was a really great movie. So if you're ever in a mood for a timely and suspenseful tale about lone gunmen and kidnapped hostages, you know what you have to do. Watch this film and see first hand how suspenseful it truly is.